Using grammar correctly is something important in any language, specially when you have to present a project or publish a document, that is why it is always a good idea to have access to an application like Grammatica. 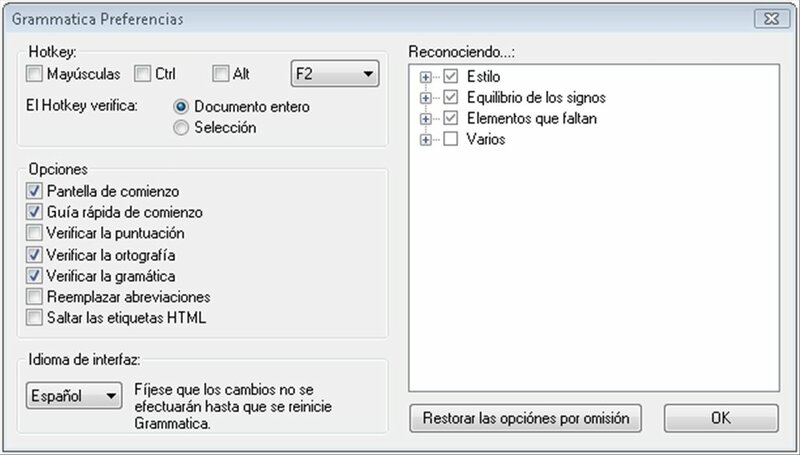 The idea behind Grammatica is to offer the user the tools necessary to be able to review texts written in Spanish, no matter what program is being used. 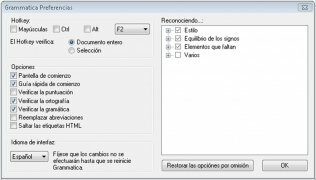 To be able to use the Grammatica spelling and grammar checker the user will only have to select the text and paste it in its interface or activate the application directly by means of the hotkeys that the application offers for this purpose. Once the text that has to be reviewed is on the interface, Grammatica will show the user all the spelling and grammar errors that it finds, offering suggestions to substitute the errors. But as well as this, Grammatica will show the verbs used so that the user can verify that the proper verb tense has been used. 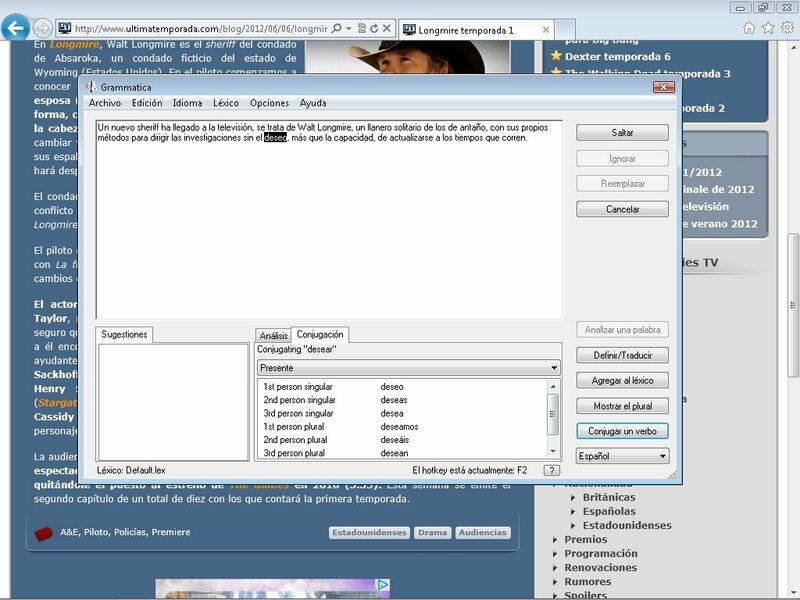 Download Grammatica to be able to correct texts written in Spanish on your computer, it doesn't matter if its within a document or when it comes to sending an email.